Horseshoe crabs are an example of creatures that inhabited our planet some 230 million years ago. They have not changed a bit over time. They can be easily recognized by their straight rigid tail and hard shell that reminds of a military helmet. Horseshoe crabs have hemocyanin and not hemoglobin in their blood that contains the copper. Thus these crabs have blue blood which contains amebocytes used to make Limulus amebocyte lysate that helps to detect bacterial endotoxins. Since 2004, the wild population of horseshoe crabs has been on the decline. Scientists already learned that captivity isn’t the be-all end-all solution either. While they aren’t necessarily overfished, their population is definitely vulnerable. And you’ll see how if they’re vulnerable, human health and human lives are definitely vulnerable too. Not surprisingly, extracting the horseshoe crab blood is a gory process. While horseshoe crabs can be raised in captivity, it isn’t that simple. Ethical issues aside of keeping the crabs in captivity, as to be expected, the quality of the crab’s blood deteriorates in captivity. 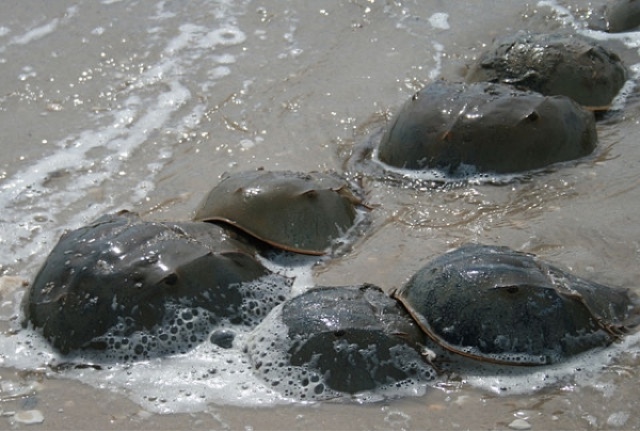 Researchers solve this issue by catching-bleeding-returning wild horseshoe crabs. While the crabs live on the seafloor, they mate in shallow waters. It’s the perfect opportunity to capture the wild animals. Once captured, the crabs are shipped to research laboratories, and “the tissue around their hearts is pierced and 30 percent of their blood is drained.” After the blood’s been extracted, the horseshoe crabs are returned to the ocean in order to avoid rebleeding. According to Huffington Post, researchers also found that bled crabs “are more lethargic and less likely to follow tides.” Behavioral changes aren’t even the worst part. The horseshoe crab’s health can drastically be compromised because lower blood levels and cell counts, coupled with unnatural behaviors, can negatively impact the animal’s ability to ward off infections. One research project found that eight percent of the studied returned bled crabs died upon being returned. 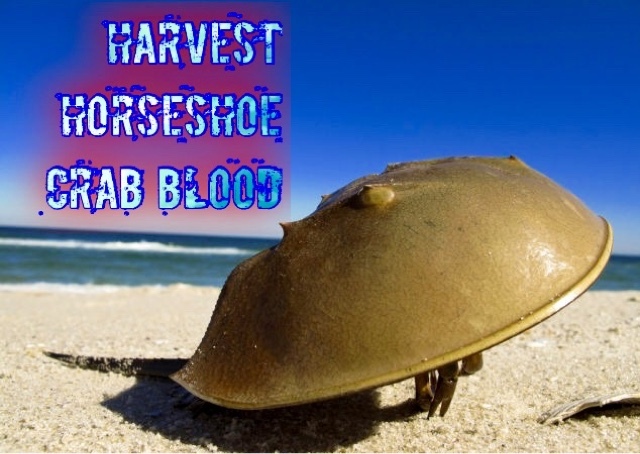 Horseshoe crab blood is unusual for two reasons. Firstly, it gets its incredible blue color from the copper used to carry oxygen around the crab’s body, in the same way the iron in hemoglobin makes our blood red. Secondly, horseshoe crab blood reacts to the presence of bacterial endotoxins, coagulating around the contamination and trapping it in a gel-like substance. The blood is so sensitive that it will react to a contaminant concentration of one part per trillion. 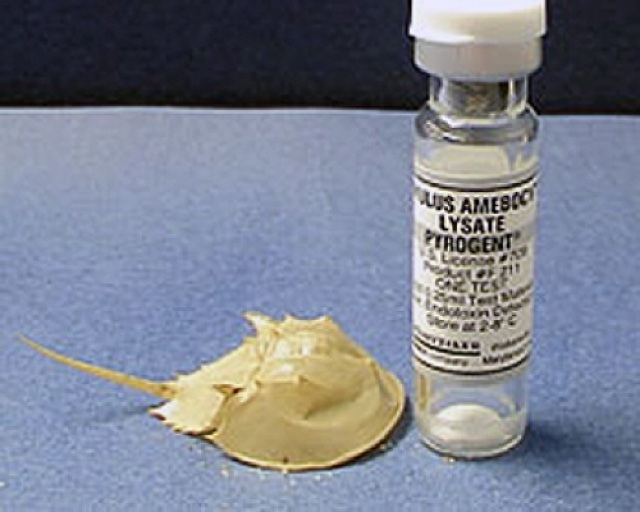 The chemical component of the blood that causes this reaction, coagulan, is isolated from crab blood to be used in what is known as Limulus amebocyte lysate testing or LAL. LAL tests are performed on medical equipment, vaccines and other injectables: if they don’t cause a coagulation reaction, they’re clean. In order to obtain horseshoe crab blood, around 250,000 live crabs are harvested along the east coast of the U.S. each year. They are transported to one of five companies, cleaned and then set up in racks for around 30 percent of their blood to be drawn. They are returned to the sea a few days after being caught and are returned quite a distance from the harvesting sites to ensure the same crabs aren’t bled repeatedly. It’s estimated that between 10 and 30 percent of the crabs die during or after the process. One study has also shown that the process is so taxing that female crabs travel less frequently to spawning grounds after being bled, thereby slowing down the rate of reproduction. Therefore, if you have ever used pharmaceutical drugs, then you probably already have horseshoe crab’s blood on your hands. Where (and when) do horseshoe crabs evolve? The evolution of the horseshoe crab extends back far before the dawn of human civilization, before the dinosaurs, before flowering plants... back to the era in our planet's history when visible life first appeared. Our Evolution section traces the development of the horseshoe crab from the Paleozoic Era and provides an overview of the changes to our planet's geology, climate, flora and fauna from 540 million years ago to the present. Toward the end of the Cenozoic Era, beginning with the Holocene (11,000 BC to the Present), we look specifically at the evolution and development of the Delaware Bay. If you've ever had a flu shot, know someone with a pace maker or joint replacement, or have given your pet a rabies vaccination, you owe a debt of gratitude to the horseshoe crab. Vaccines, injectable drugs, intravenous solutions, and implantable medical devices, both for humans and animals, are quality checked for safety using a test that comes from the blood of horseshoe crabs. How does horseshoe crab blood protect the public health? Humans can become sick if exposed to bacterial endotoxin. It is especially dangerous if endotoxin enters our blood stream directly, such as from an injectable drug. Given this, drugs and medical devices that come in contact with our blood stream are tested to help assure they do not contain harmful levels of endotoxin. Like other animals, the horseshoe crab has an immune and blood coagulation system that protects it against infection. Inside the horseshoe crab’s blood cell (called the amebocyte) are the protiens of its blood clotting system. These proteins are released in response to the presence of unwanted organisms like Gram negative bacteria and cause its blood to clot around the injury and bacteria, protecting the animal from further harm. Research on horseshoe crabs showed that their blood is very sensitive to endotoxin, which is a component of Gram-negative bacteria like E. coli. In the 1960s (see timeline), Frederik Bang and Jack Levin developed a test from Limulus polyphemus blood that detected the presence of endotoxin. 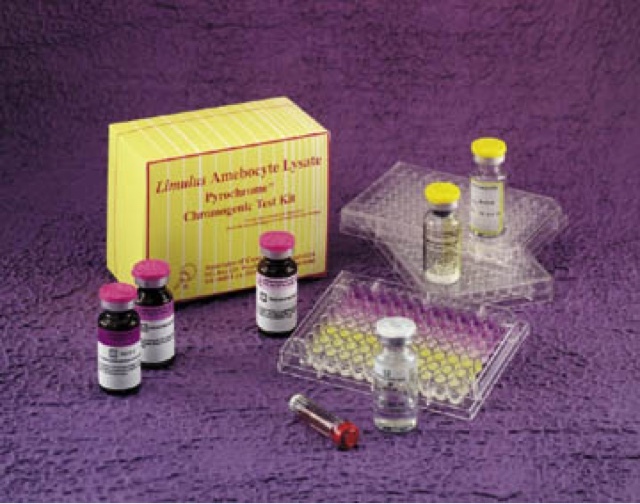 This test, based on the fact that the blood of the horseshoe crab gels or clots when it comes in contact with endotoxin, was called the Limulus amebocyte lysate (LAL)test and was commercialized in the United States in the 1970s. In Asia, there is a similar test called TAL which takes its name from an Asian species of crab, Tachypleus tridentatus. 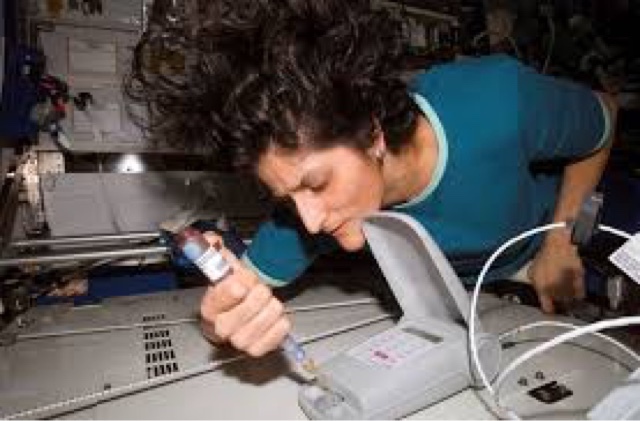 The LAL and TAL test methods have advanced since the early days, all with the purpose of helping to make injectable drugs, vaccines, and medical devices safer for humans and animals. 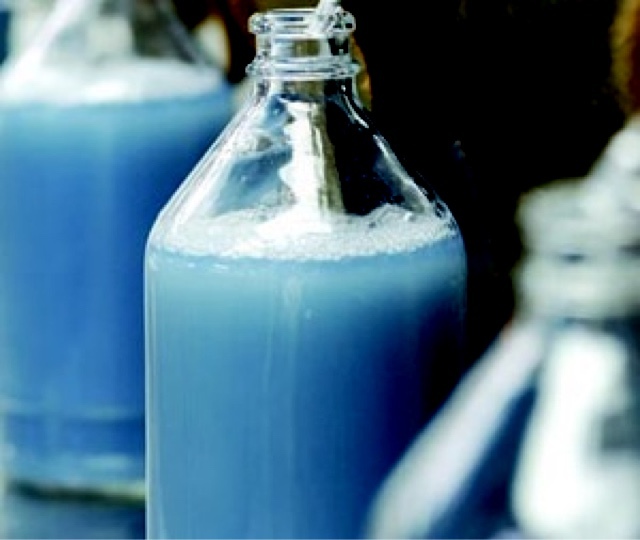 In addition to the use of their blood for an endotoxin test such as the gel clot test, the horseshoe crab's DNA has been used to develop a recombinant test method for endotoxin. Even as alternatives are being developed that will retire or reduce the use of horseshoe crab blood, we will always be indebted to the horseshoe crab's contribution to our health. In addition, a version of the LAL test has been clear by FDA as a test to aid in the diagnosis of invasive fungal infections. This test takes advantage of the fact that the horseshoe crabs blood clotting system responds to (1→3)-β-glucans as well as to endotoxins. (1→3)-β-glucans are a cell wall component of a wide range of fungi. A glucan test can indicate the presence (or absence) of a fungal infection within a couple of hours of drawing a patient’s blood sample so that appropriate treatment can begin promptly. Conventional methods of diagnosis can take days of even weeks to give a definitive result. Charleston County Councilman Dickie Schweers’ waterfront home in McClellanville looked like a horseshoe crab graveyard last Sunday. Horseshoe crabs (Limulus polyphemus) are an integral part of the marine ecosystem and significant natural resource in many coastal national park units. As a member of the benthic community, they prey on small benthic fauna, such as bivalves and worms. They are preyed upon by sharks, as well as the federally listed loggerhead sea turtle. Horseshoe crab eggs provide a critical food resource for migrating shorebirds (i.e. red knot) which stop along the Atlantic coastline. You are likely to see an abundance of horseshoe crabs during their peak spawning season in May and June. Females begin to come ashore to spawn along protected sandy beaches during evening high tides during the full and new moons. Males (1/3 the size of females) attach themselves to females as they approach spawning beaches with a pair of modified claws that look like boxing gloves. You may see more than one male crowding a pair forming a large cluster along the water’s edge. Fertilization of the eggs is external and eggs are laid in nests that are dug in the sand by the female. Females may nest several times in one tidal cycle. Spawning sites within the Cape Cod National Seashore include Pleasant Bay, Nauset Marsh, Great Island, and in recent years, East Harbor. 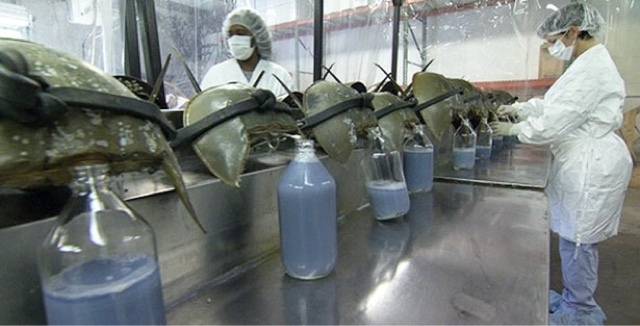 Horseshoe crabs are commercially harvested for bait for American eel and whelk fisheries, and their blood is used to produce a critical pharmaceutical product, Limulus amebocyte lysate (LAL). LAL is the pharmacological standard used to detect fever-causing bacteria in all injectable drugs (i.e vaccines) and implantable medical devices. Throughout their range, managers are concerned about declines in spawning abundance, possible over-exploitation and unsustainable harvest of horseshoe crabs. In Massachusetts, these concerns have led to stricter fishery regulations and even closures of certain areas to harvest. Harvesting horseshoe crabs within the Cape Cod National Seashore boundary is prohibited. 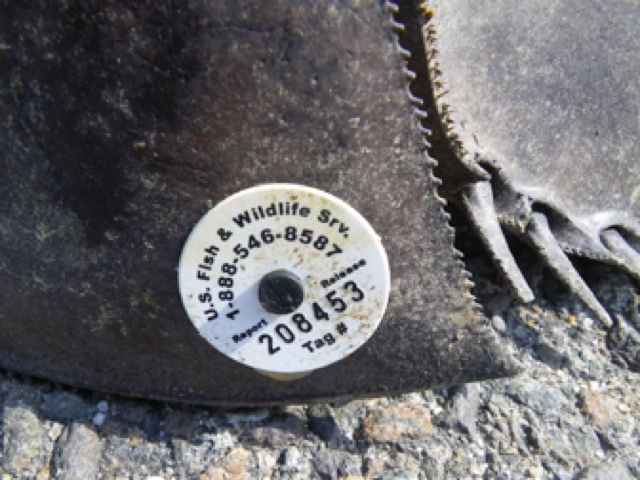 If you find a horseshoe crab with a tag, please click here or call 1-888-LIMULUS (1-888-546-8587). Many Petition.ROMANIA! Stop Killing DOG!! VICTORY! Elephant Sunder is Free!! Victory!! Sunder is free!!! India Thank you everybody. LEOPARD BURNED ALIVE IN INDIA. Please Sign to Petition! LEOPARD BURNED ALIVE IN UTTARKHAND, INDIA. BAN FOIE GRAS:WORLD NO.1 GORGEOUS AND HORRIBLE FOOD. ◆HOME ~PROLOGUE~ THE ORGANISMS ARE LIKE BACTERIA LIVING ON THIS EARTH. NRDC vs U.S.NAVY HELP STOP THE NAVY’S ASSAULT ON WHALES! STOP FOX HUNTING IN IRELAND AND WORLDS!! THAT I WANT TO THINK EVERYONE.